THERE has been a strong and overwhelmingly enthusiastic industry response to yesterday’s announcement that beef industry identity Jason Strong will guide Meat & Livestock Australia’s operational future as the company’s new managing director. Taking up his position on April 1, Mr Strong will replace former MD Richard Norton, who resigned from his position in December to join Elders. Many responses have highlighted Mr Strong’s diverse skill-set and career exposure to many parts of the red meat supply chain as equipping him well for the task ahead. He is also being recognised for his inclusive and collaborative leadership style and strong communication skills. Mr Strong’s unusually diverse CV includes time in corporate pastoral company management as MD of the Australian Agricultural Co, industry representation in international markets for MLA in the European Union, managing the fledgling Meat Standards Australia program in which he started out as an MSA grader, and working with global animal products company Pfizer in launching its Australia cattle genetics DNA package. Privately he ran cattle in northern NSW and owned a number of meat retail outlets. In the 1990s he also dabbled in industry representation serving as NSW chairman and national vice president of the Cattlemens Union of Australia. Red Meat Advisory Council chair Don Mackay said Mr Strong’s appointment came at a crucial time for Australia’s 82,500 red meat industry business and the nearly half a million jobs the industry creates for Australia. “RMAC has great respect for Mr Strong’s leadership, collaboration and problem-solving skills which will no doubt be put to good use in key areas like the review into the rural innovation system, the review of the Red Meat Memorandum of Understanding, a generational shift in Australia’s red meat industry; and the emerging market access opportunities in the European Union and the United Kingdom,” Mr Mackay said. Cattle Council of Australia also welcomed Mr Strong’s appointment, saying it would continue to foster an effective relationship with MLA to achieve the best outcomes for cattle producers. “CCA has enjoyed a strong working relationship with Jason for many years – most recently in his role as chair of Australia’s EU and UK Red Meat Market Access Taskforce,” chief executive Margo Andre said. 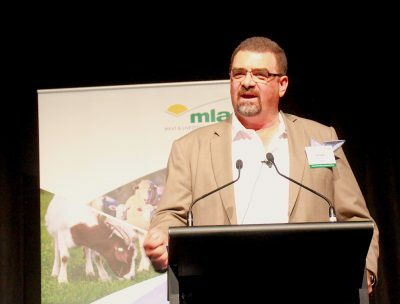 The Australian Lot Feeders Association’s president Bryce Camm welcomed Mr Strong’s appointment, saying he had a thorough knowledge of the value chain – from on-farm production through to delivering Australian red meat to the world. “His breadth of knowledge, consultative approach, commercial acumen and respect from industry colleagues puts him in a great position to lead the MLA team,” Mr Camm said. Australian Meat Processor Corporation CEO Peter Rizzo said he and his team were delighted to hear of Jason Strong’s appointment as MLA managing director. The Australian Beef Association said it wished Mr Strong all the best in his new role and looked forward to working with him towards a better future for beef producers. “One hopes that Jason Strong can cut the spin and actually get MLA on the right track, whilst at the same time not getting involved in fashionable schemes that can prove to be a black hole for producers’ hard-earned levies and taxation,” an ABA spokesman said. Grassroots beef producers have also been overwhelmingly positive in their reaction to the appointment, as can be seen in almost 20 reader responses on yesterday’s original article (click here to view). “Right man, right job, right time – the industry needs your skills,” was the response of Central Queensland beef producer Ross Wilson, from Mt Helmet, near Springsure. “It’s good to see someone with hands-on experience in so many industry sectors in this important role,” said former Cattle Council of Australia president, Keith Adams. “Good to see that the board this time appointed a person to the role with strong meat industry experience,” said ACIC’s John Gunthorpe. On the flipside, a few individual industry stakeholders have been less enthusiastic about Mr Strong’s appointment, drawing attention to the poor financial and operational performance of the Australian Agricultural Co during his tenure as managing director up to 2018.